Here is a guide to setting up and running a primary school library. It covers the essentials for running a library with limited resources human and physical resources (no trained librarians, no budgets etc). It covers information and advice on the why, what and how to essentials for setting up a library. Why setup and run a school library? Setting up and running a school library is one of the most satisfying jobs a teacher can perform as they are in a great position to develop children’s love of books and encourage them to read. 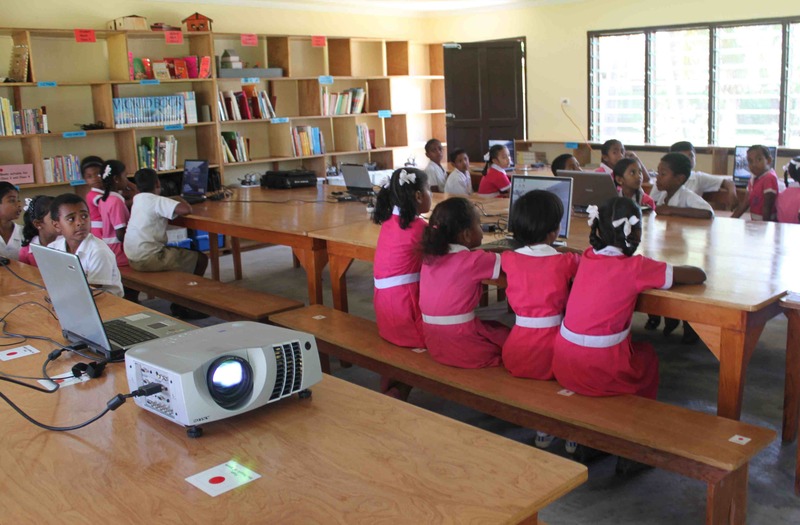 A school needs a library to support the school’s work of literacy and education. It supports students’ studies. The library collection will have information on a range of subjects that will help students as well as teachers. A school library should contain a selection of books, magazines, newspapers, and audio-visual resources such as dvds. 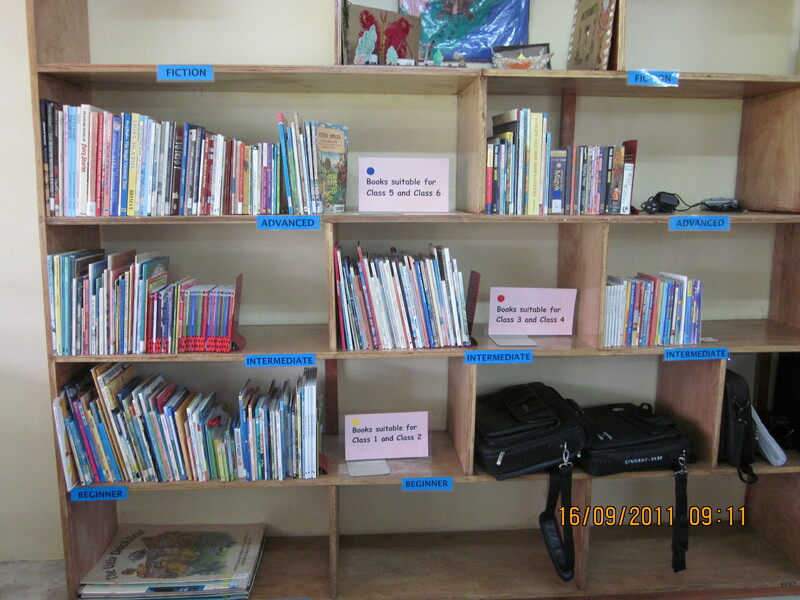 All the items in the library should be organised so it is easy to find and use. As in other professions there are few guidelines, processes and procedures that need to be followed to achieve success in setting up and maintaining a primary school library. What you need to do first? Setting up and organising the items in the library is a time-consuming task but some careful planning will make the job much easier. So look at the kinds of library resources that your school has. Organise a library group or committee and decide on library rules, opening times, staffing and the amount of help that is required from students (library monitors) or school committee. Decide on the role of the library and what it aims to achieve for the school program. Find out what items (stock) are in your library? When you organise your library it is important to find out the range and type of items you have and divide them into three basic sections – Reference, Fiction and Non Fiction (Information). It is a good time to weed out old, outdated and unwanted materials. School library collection should reflect the school curriculum needs and your selection of items for the library should be guided by this. It might be a good idea to create your library policy for the selection of items based on this criteria. Reference materials include encyclopedias, dictionaries, and atlases. Reference books are useful to find quick answers, check facts, answer student’s questions and discover new information. Some of these books are often large, expensive, and in constant use so most libraries do not lend them. These can be clearly marked with a sticker ‘Reference’ (code REF) and kept near the Non Fiction. Fiction includes story books or novels. These books are written on different themes or ideas which provide interesting reading materials for students of all ages. Non Fiction includes information materials such as books on people, places and things. These books are written on different subject areas such as the textbooks on health, social science etc. To help library users find the books they want, it is recommended to organise all information items into different subject areas. For example, put all books on trees and forests on bookshelves close to each other. The next step is to classify all non fiction books. Classification is a method of organising book titles, so that books on the same subject are kept near each other on the bookshelf. 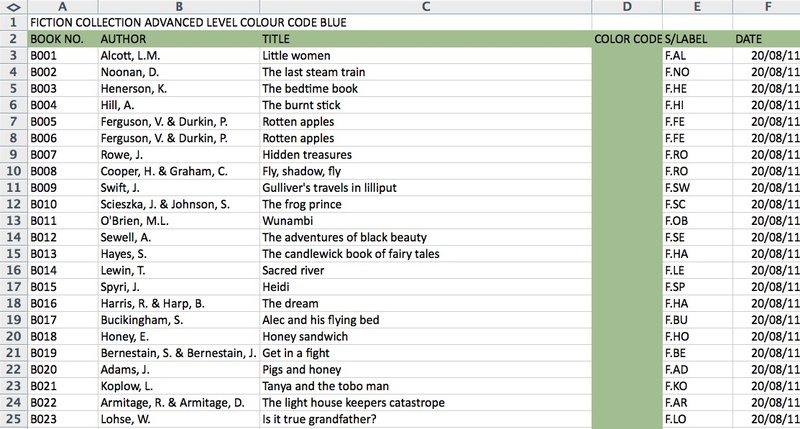 To organise non fiction (or information books) the best method is to divide the books into different subject areas and give each book a classification label using a code. You can code by letter, number or colour. Why non fiction books need to be classified? Non fiction books need to be classified because it keeps the books on the same subject areas together which means it is easier to find. Once students/teachers understand your library classification they will know where to find the books they are looking for. How do you choose the best classification method for your school? The choice is yours to make. You need to decide which classification system best meets the needs of the students and teachers and the school. Whatever system you choose you will still need to have a consistent labeling procedure. You can decide on your own rules as to how many letters will form the label code. As long as it makes sense and works it should be fine but it is important to maintain some consistency. So every book will have a label code on the spine of the book. Once you have finished your classification, you can create a chart/table or a knowledge tree to display this information in your library for everyone to refer to. DDC is used widely throughout the world and is very popular with many libraries. 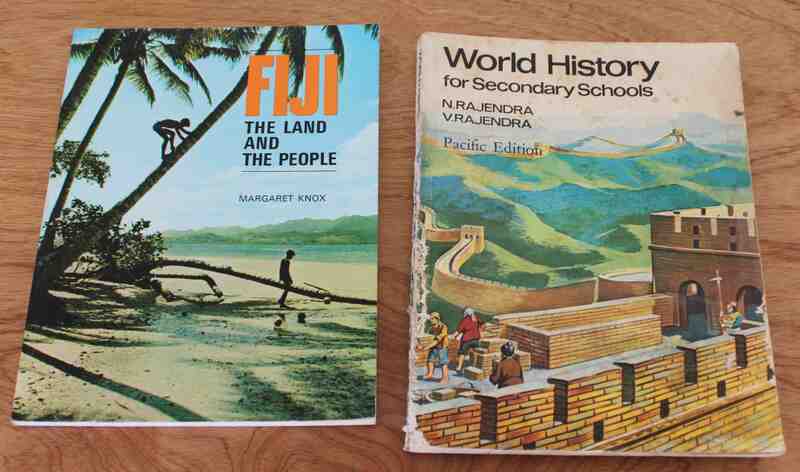 It is most useful for secondary school libraries with more than 500 non fiction books. At its simplest the Dewey classification divides books into ten broad subject areas, which are coded by numbers – starting from 000 to 900. There are further subdivisions within the broad subject categories such as 500 – Science will start with 500 for all general science books and include all the different science areas (biology, chemistry, animals etc) will fall in the range anywhere from 500 – 590. 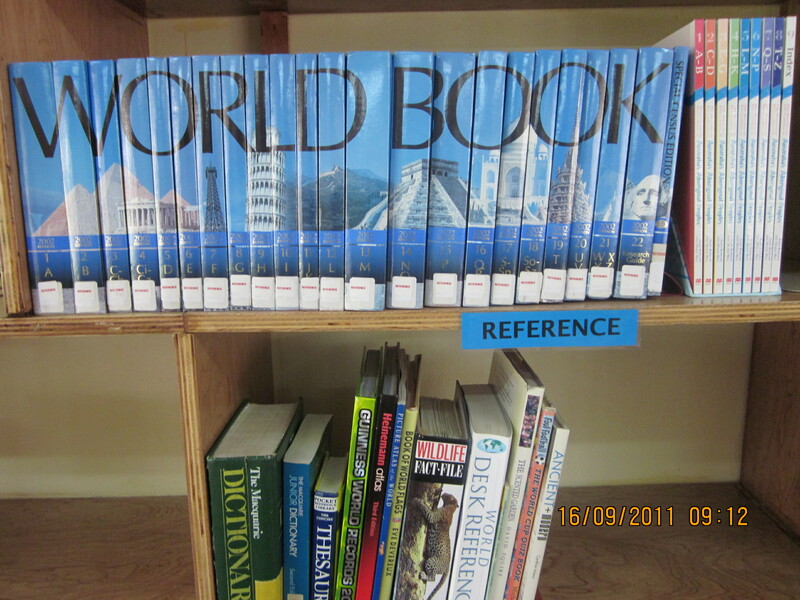 To assign spine labels (also known as call numbers) a library must have a current set of Dewey Decimal Classification manuals and a trained librarian. 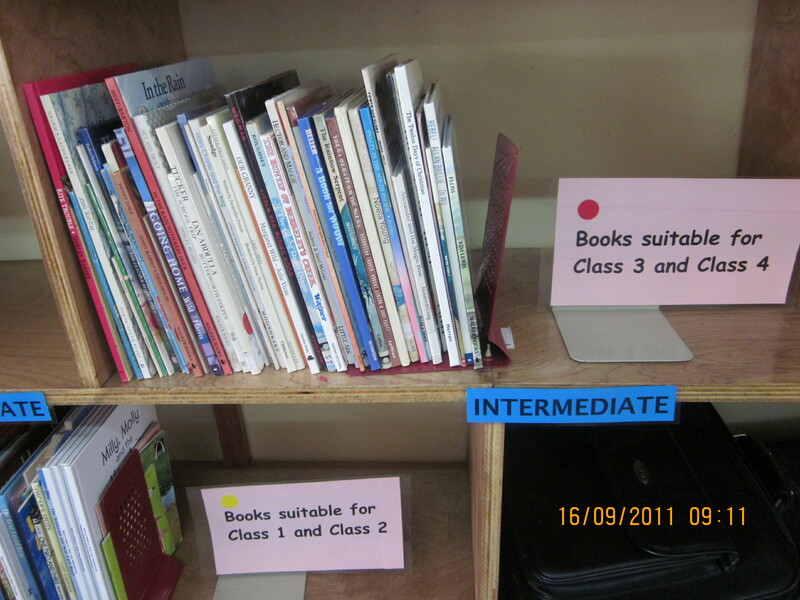 In addition, this system is not suitable for a primary school library with a small non fiction collection. FIC and the last two of three letters of the authors surname: for example the book title “Going home by Margaret Wild” will have a spine label FIC WIL or FIC WI and a colour sticker (for the ability levels). You can also use F to denote Fiction so it will be F WIL or F WI. You can decide what is the best option for your school library. Every item that a school library has or receives must be accounted for. One way of doing this is by creating an accession register that is a record of all items held in a school library collection. Every item should be given a unique number when it arrives at the school. This number must be written down both in the register and on individual items. It is essential that you give every book unique accession number and enter them in the register. Because every book is given a unique number it will always be possible to identify a particular book. This is useful for borrowing purposes as any damage or loss can be tracked via the register. Why have an accession register? It provides the school with the total number and type of library items that the school owns. It can be used to decide what are areas of the library collection that the school wants to grow. This is one way of telling your donors what books your library needs. The manual method of doing an accession register is time consuming and labour intensive so we will opt for an easier method and use computers to create a spreadsheet to put all the details together. What I am proposing is to create a register with all the details and then create appropriate spine labels for reference, non-fiction and fiction titles so all the information is held in one place for easy access and retrieval. Now that you have created register with all the details for the items held in your library students and teachers should be able to borrow them. Think carefully about the type of lending system that will work best for your library. Lending means students and teachers can take fiction and non fiction (if you have enough titles) away from the library for short periods of time to read or for study. You can decide on the lending policies such as who can borrow, for how long and who will look after this process – should library class be part of the class teacher’s responsibility ? A simple method of doing this is using an exercise book and dividing it in columns. Head each column with student’s name, class, title of book, author’s name, spine label, date borrowed, date returned. Add any other information you need. Decide what is the best option for your school. Thank you Sonal. How is your library going? Thank you Amrita. How is your library going? This page is really simple ready reckoner for bigineers…. And new librarian. Awesome information for me as a pioneer of a new library in my institution! Thank you very much. Thank you Edward. Are you setting up a library at present? Where are you based? Thank you Podar. Are you setting up a library at present? Where are you based? Very useful information for setup new library.Thank you. Thank you Nisha. I am glad to hear that you have found the information useful. Are you setting up a library at present? Hello, Yes i am setting up a Library for a College. We are based in Kitui County, Kenya, East Africa. Thanks Edward. Have you considered digital books for your library? Hello, Really helpful information. I’m a beginner librarian and i was assigned to set up the library for our little town and i was struggling with it.